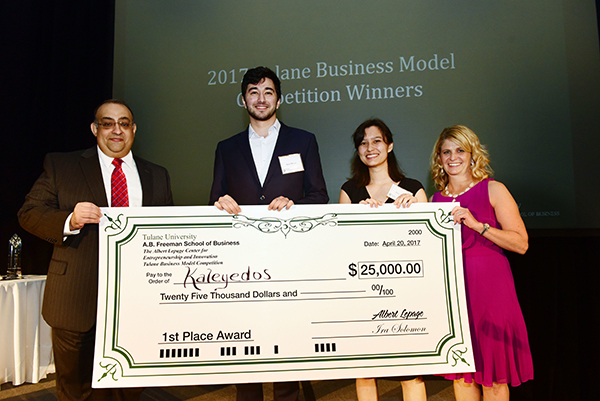 Medical device maker Kaleyedos, represented by Sami Messai, center left, and Erica Schwarz, center right, receive the Tulane Business Model Competition’s first-place prize from Sherif Ebrahim, left, and Stephanie Kleehammer, right, of the Lepage Center for Entrepreneurship and Innovation. A team of students from Johns Hopkins University with a device to improve the treatment of a potentially blinding infant eye disease won first place and the top prize of $25,000 in the 2017 Tulane Business Model Competition. 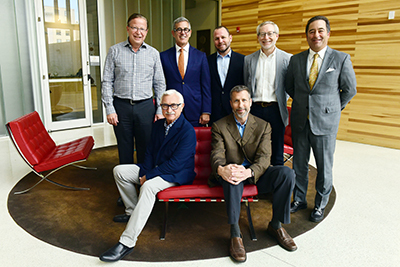 The final round of the competition, an annual presentation of the Albert Lepage Center for Entrepreneurship and Innovation at Tulane’s A. 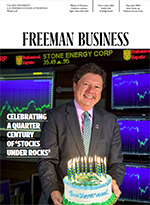 B. Freeman School of Business, took place on April 20 at the New Orleans BioInnovation Center. The winners were announced that evening at the Lepage Center’s annual awards gala at the Audubon Tea Room.Kaleyedos, the Johns Hopkins-based startup, won this year’s competition on the strength of the Kaleyedos Imaging Device, which enables pediatric ophthalmologists to remotely screen for retinopathy of prematurity, an eye disorder that affects up to 70 percent of premature infants and is the leading cause of childhood blindness worldwide. While neonatal intensive care units (NICUs) are required to screen premature infants for the disease, the relative scarcity of pediatric ophthalmologists makes the process expensive and time consuming. With the Kaleyedos Imaging Device, hospital personnel can scan the infant’s eyes and upload images to the cloud, where certified ophthalmologists can instantly access the images and offer a remote diagnosis. chairman and CEO of Harbour Group and a current Tulane parent. Scott Satterwhite (MBA ’81) and Jeff Fox, and, seated, Albert Lepage (MBA ’71), left, and Wayne Teetsel (A&S ’87, MBA ’90). Tulane Business Model Competition third-place finisher CMDX Biopsy, founded by Tulane students Sydney Chestler, Ryan Fishel, Ben Lewson and Perri Levine, also did well at the international competition, earning a spot in its semifinal round.